Get a variety of looks with this easy dress pattern for miss. 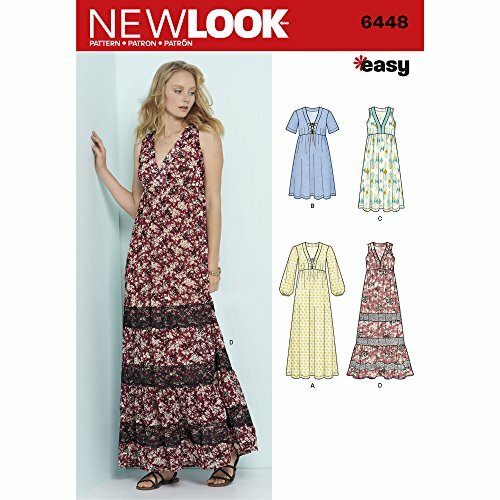 Pattern includes sleeveless maxi with Lace trim, long sleeve maxi with lacing, knee length with short sleeves and lacing and Midi with contrast neck band. If you have any questions about this product by New Look, contact us by completing and submitting the form below. If you are looking for a specif part number, please include it with your message.